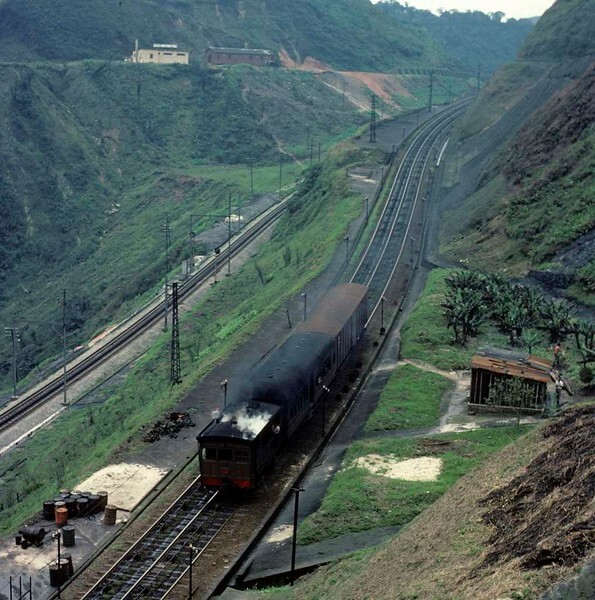 Paranapiacaba, Santos a Jundiai Railway, Brazil, 18 October 1976. Another view of the 0-4-0 tram engine propelling a coach and two wagons up the incline. Photo by Les Tindall.